<< Alpinestars Race Gloves IN STOCK! HJC AR-10 Helmets IN STOCK! Need a helmet for this year’s upcoming race season? We have approved HJC AR-10 helmets are IN STOCK! No need to borrow the village helmet at events anymore! Since 1971, HJC has specialized in manufacturing motorcycle helmets exclusively. Several years ago the HJC Motorsports program was born, which focuses on automotive helmets. The new Snell SA2010 rated HJC AR-10 II model has features of helmets costing twice as much! The AR-10 II’s shell is made out of an advanced Fiberglass Composite Weave that results in a VERY lightweight helmet. 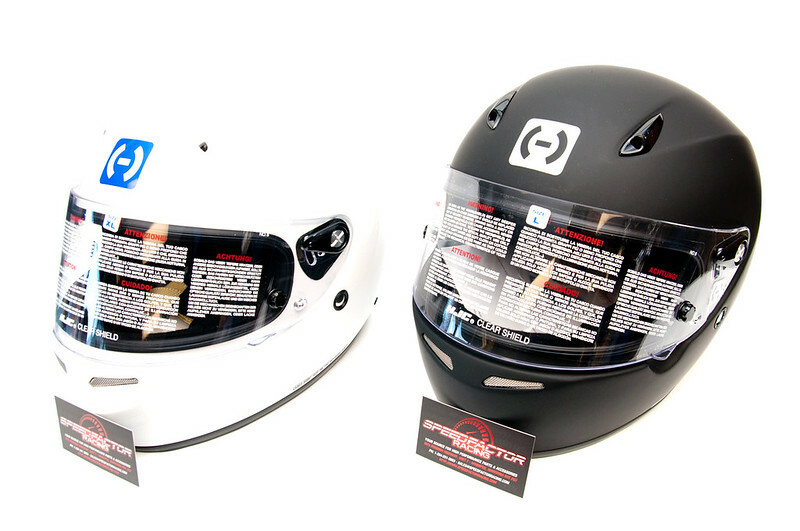 In fact, it is the lightest fiberglass full face helmet we carry, weighing in at around 3.7 lbs for a size Large. The AR-10 II also features HJC’s “ACS” Advanced Channeling Ventilation System which provides full front to back airflow to flush heat and humidity up and out of the helmet. This system consists of two vents on the chin-bar, two vents on the top forehead area, and two rear exhaust ports. Inside the helmet, HJC used advanced CAD technology to help provide superior fit and comfort. The fire resistant Nomex liner is moisture-wicking, comfortable, and fully removable and washable. The clear shield that comes standard on the AR-10 is a polycarbonate anti-fog and anti-scratch model that provides 95% UV protection.